… And the story goes on …. When the great, great grandson of William Wordsworth, Charles, was sent by a petro-chemical company to work in Madrid over half a century ago, never would he have thought his retirement would be spent serving breakfast in his own hotel in a Spanish Natural Park often to the accompaniment of his Spanish son-in-law playing and singing popular Spanish and English songs. My husband and I had the pleasure of discovering this touch of pure England in really rural Spain. Turning off the twisting, tree-lined mountain road the short, almost rough track leads to the delightful, single-storey, terracotta-coloured Finca la Fronda. One of Charles’ bilingual children, Alec, who is also the chef, greeted us and showed us around the beautiful Casa Rural Superior, a Spanish term for an upper class B&B. We were on a visit with a view to add Finca la Frona to our personally visited portfolio – Only Spain Boutique Hotels. Our enormous bedroom, the largest for wheelchair access, was beautifully and classically decorated with our own little terrace, as do all rooms, surrounded by trees and lovely views. The finca, a Spanish term for rural property, is in the vast Natural Park Sierra de Aracena & Picos de Aroche, on the border of Portugal to the west and the province of Cadiz to the south. English tea is served in a teapot with cups and saucers, only fitting when sitting with a portrait of the nature-loving William Wordsworth on the lounge wall and another charming family touch is the verse of Wordsworth’s poetry left on your bed each night. There’s lots to explore and do in the area if you like walking, running or mountain biking this is a great spot with paths, tracks and trails linking all around the mountains. If relaxing by the pool is your thing, exploring charming towns and stunning scenery or helping yourself to tea or coffee and drinks from the honesty bar and dining while watching the stars light up the black evening sky in this starlight reserve, with oodles of charm, class and culture here, throw in its history, poetry and nature and you’ve a fabulous winning combination. 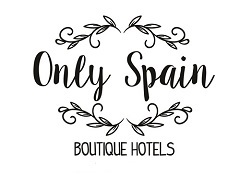 See Finca la Fronda on Only Spain Boutique Hotels.